Having a phone is not only for joining the hype in social media. It is one of the gadgets for a person who works online needs. Also, it is one of the gadgets that I cannot live without. Aside from other specs from Vivo, what I love is the camera and its durability. Now, Vivo has released a new model of its Y series in the Philippines. 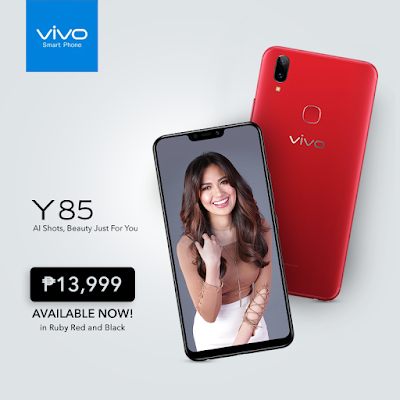 The Vivo Y85 is now available nationwide. 4GB of RAM and 32GB of storage. Android 8.1-based Funtouch OS 4.0 operating system.